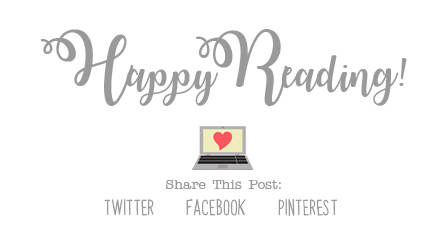 Lauren Oliver is one of the very first authors I checked out when I started reading YA books, and I’m always on the lookout for something new by her. The summary for her newest book, Broken Things, sounded really awesome, and I absolutely couldn’t wait to check it out! 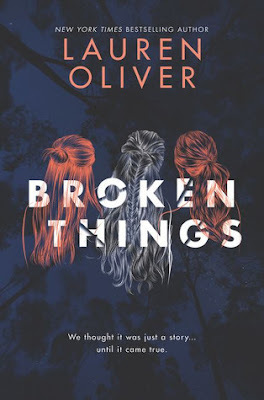 I was immediately drawn to Broken Things not only because it was written by Lauren Oliver, but also by that super eye-catching cover. How gorgeous is that?? The summary sounded really awesome as well. It’s been a few books since I’ve read a good murder mystery, and this book was exactly what I needed at the moment. The storyline for the book was very mysterious, and while I guessed what happened pretty early in the book, the book still made me doubt myself more than a few times throughout. And I love that while this was a mystery story, there was also a fit of fantasy in it as well, from the book the girls were so addicted to. That was really interesting, and one reason why I flew through the pages! The end of the book felt a little bit rushed, but other than that, it was really fascinating. The other interesting thing in the book was the characters. I immediately liked Brynn and Mia, and sympathized for all that they had been through since the death of their friend. And not only after their friend died, but before as well. There were some things that were super easy to relate to in the story. I also liked Abby, who happens to be Mia’s best friend, who was probably my most favorite character in the book. I really enjoyed her storyline, and wish she had been in the book a bit more. Also, there’s a bit of romance in the book as well for a few of these characters, but I’ll say no more on that subject! Overall; Broken Things was a quick, mysterious read that will keep you guessing as you turn the pages. The storyline was fascinating and addictive, and the characters were interesting as well, and it all made for a really nice read! I definitely feel to the need to re-read more of Lauren’s books now that I’ve read this one, and I just realized that I have not yet read Vanishing Girls, so I must do that soon! Do check out Broken Things!